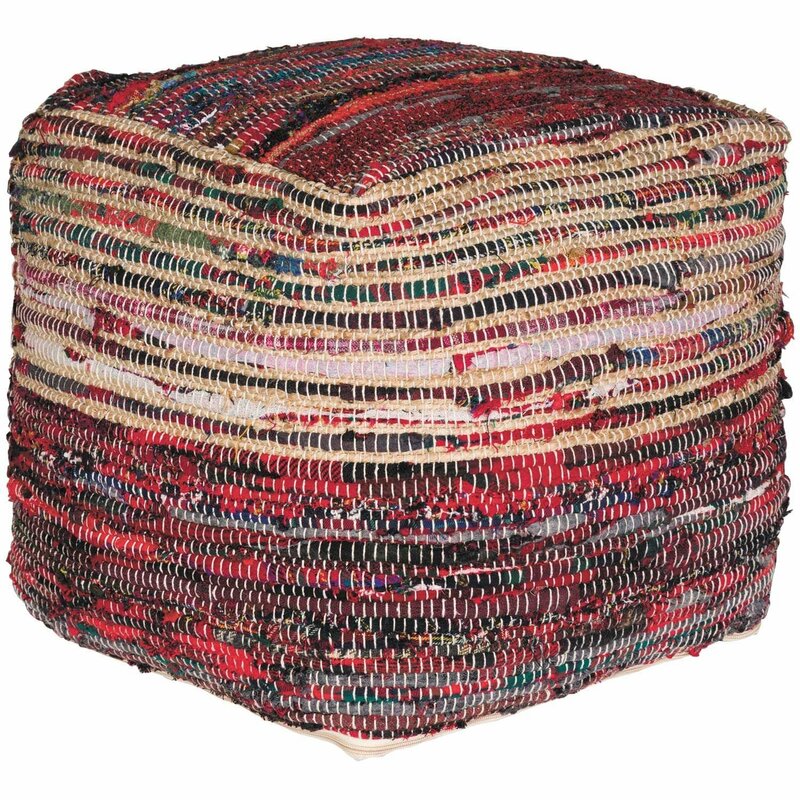 Ampic Natural Red Pouf from The Rug Republic. 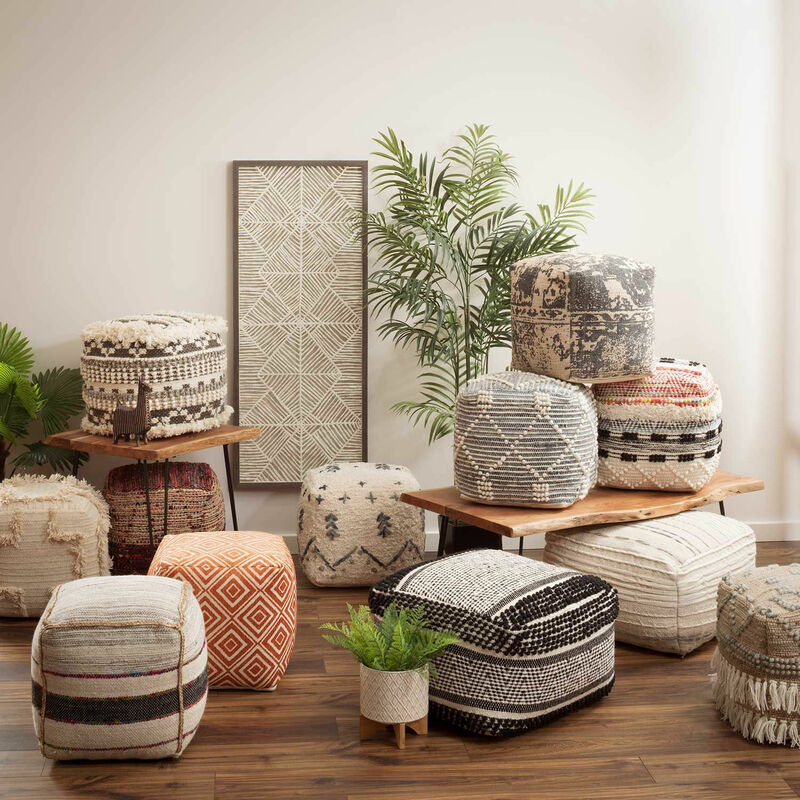 Constructed of hand woven hemp and recycled fabric. Beige and red colors give this pouf the boho vibe.